A few years ago, not many people were familiar with the voice of Abel Tesfaye (better known as The Weeknd). 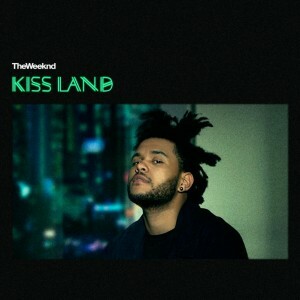 After coming off the success of his platinum-selling compilation album Trilogy, the world has been anxiously awaiting a follow up project and, ladies and gentleman, Kiss Land is finally here. Within the first ten seconds of the album, it begins to feel as if you’ve stumbled down the rabbit hole. met by soft rhythmic vocals and euphoric synths. The sounds are crisp, clear and in no short supply of bass. As far as instrumentals go, Kiss Land incorporates everything from easy listening guitar riffs to hard hitting drum kits. This mixture of aggressive drums, soft guitars and pulsing beats, blend together perfectly, which makes Kiss Land a solid choice for any party, or some quiet time alone. As the songs progress, it begins to feel as if The Weeknd is trying to take you on a tour of his newly created world and it’s as the moods drastically change from warm, uplifting melodies to sad, strange and mysterious ballads, as if you’ve accidentally wandered into strange rooms and hallways along your journey. This ability to smoothly transition between powerful moods has been a signature style from The Weeknd and is used quite well in Kiss Land. Fans of House of Balloons or Thursday will be pleased that Abel Tesfaye has kept his lyrics to a mixture of clever love lines, melancholic vibes and painful truths. Often in the album, women, drugs, the pit-falls of a relationship and the realities of living a famous lifestyle take focus in his verses. The lyric “I’ve got a brand new place, I think I’ve seen it twice all year” from the titular track “Kiss Land” is a great line giving us a small peak into The Weeknd’s opinions on his new found stardom and his methods for coping with it. “Kiss Land” has a great transition between eerie carnival sounds to dramatic bass and drum kits while “Love In The Sky” is smooth with short complimenting guitar solos. “Wanderlust (Pharell Remix)” is a bonus track that really brings a new twist to the original and is extremely catchy. This is no doubt one of the most anticipated albums of 2013 and it’ll be interesting to see what levels The Weeknd might take his music to next, but until then sit back, relax, and enjoy your adventure in Kiss Land. 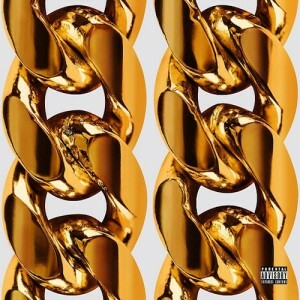 By releasing what was arguably one of 2011’s better hip-hop mixtapes and having a ton of memorable guest appearances, 2 Chainz has launched himself into the position of a mainstream rapper. His perfectly crafted debut album was fuelled by the hit singles “No Lie” and “Birthday Song” only helped to cement his hit-rapper status. Uniquely enough, a large part of his mainstream appeal isn’t so much his lyrical abilities as it is his humour. There are tons of mainstream rappers that are talking about fornicating, flossing and recreational drug use, but the man formerly known as Tity Boi resurfaced as a hilarious character in the current hip-hop landscape. 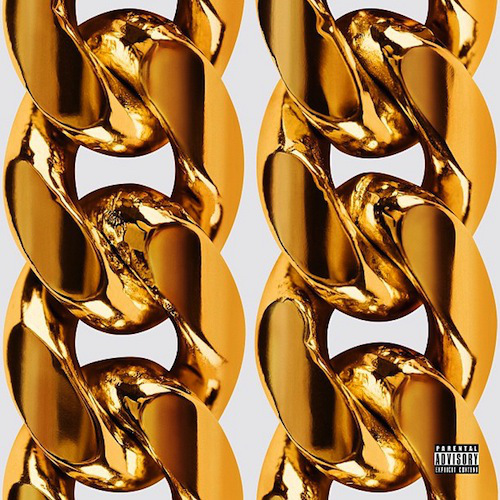 2 Chainz’s latest LP, Based On A T.R.U. Story II: #MeTime (B.O.A.T.S. II) represents his attempt to capitalize on the success provided by his debut album. However, there are just too many times when the attempts at hip-hop humor fall flat. The album starts with, “Fork,” which begins with an out of place conversational exchange between a 2 Chainz and his mother arguing over money left in his pocket. This opener sets the tone for the slowly sinking ship that is B.O.A.T.S. II. However, the biggest assist comes from Young Money Cash Money Billionaires (YMCMB) frontmen Lil Wayne and Drake on “I Dot It.” This is easily the album’s best track, but a close second is the lead single “Feds Watching” with super-producer Pharrell. Both songs offer a refreshing sense of honesty which is unfortunately hard to find throughout the rest of B.O.A.T.S. II. At this point, most people should know that Mr. Chainz isn’t interested in providing the type of lyricism offered by other emcees in hip-hop. And to be completely honest, those listening to 2 Chainz probably don’t want that from him anyway. Either way you slice it, his formula of catchy hooks, worthy one-liners and danceable beats suffers from a lack of innovation and originality. As the school year gets started, loyal 2 Chainz supporters and casual fans may enjoy B.O.A.T.S. II as situational, turn up music. But listeners that don’t fall into either of those groups would probably enjoy something more cohesive and diverse.